How was the M50x BT tested? 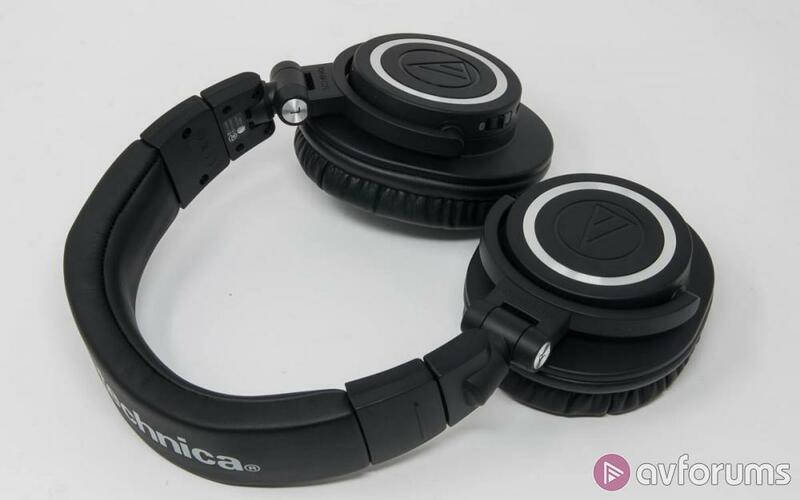 The Audio Technica ATH-M50xBT is a closed back over-ear headphone that can be used in either wired or wireless Bluetooth modes. In 2019, this is not a remarkable thing. Bluetooth is busy impacting the design of headphones and earphones at every price point under £1,000 at the moment. Even if you still have a headphone socket on your phone, the sheer joy of being untethered from other devices, moving your head freely and not snagging doors, other people and your own clothing is A Good Thing. On the face of it, this is just another pair of headphones to join the party. Except that, in one pretty significant way, it isn’t. The M50xBT is a new headphone but the M50x is not. 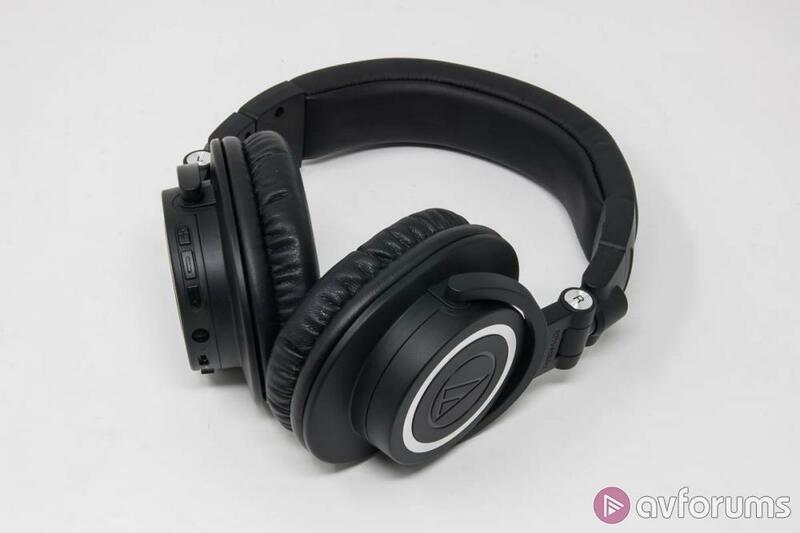 This is a member of Audio Technica’s affordable studio and DJ range and it is very much a wired product - neither studios nor clubs being terribly conducive to wireless use. Over time, it has developed something of a cult following though from people using their M50xs for all sorts of more domestic listening. Feedback suggested to Audio Technica that they wanted a wireless version, so here we are. This, then, asks some interesting questions. What happens when you need to find the space needed for a pair of headphones to go wireless? Does it make a difference? On a wider level, how does the origin point of the M50 affect its abilities when used day to day? Last but by no means least, with so many headphones being designed from the outset, is this the best way to spend your money? Read on to find out. The basic hardware of the M50xBT is the same as the M50x and this in turn is relatively in keeping with what might be expected of a semi-portable headphone. The drivers are of a dynamic type and are fractionally larger than the ‘type standard’ of 40mm by being a claimed 45mm across. This is the point where I routinely remind you that there is no absolute gold standard for measuring drivers and the extra half a centimetre could just be a different way of measuring the surround. There are some key bits of Audio Technica engineering present. The drivers use a rare earth magnet which is not unheard of at the price but a little unusual. They also make use of a copper coated aluminium wire. Audio Technica is a big fan of this. It crops up in a very large number of their products, including some determinedly high end ones. The claim is that doing so has a positive effect on flux and other unwanted nastiness when arranged into a voice coil. These drivers are placed in a closed back, over-ear housing - logical enough given the potential for use in noisy environments. These are well padded and combine with a level of pressure from the headband that will keep them in place under all but the most frenetic of conditions. They also fold flat and inwards to reduce the space that they take up. Audio Technica is a master at comfortable headphones and this is no exception. 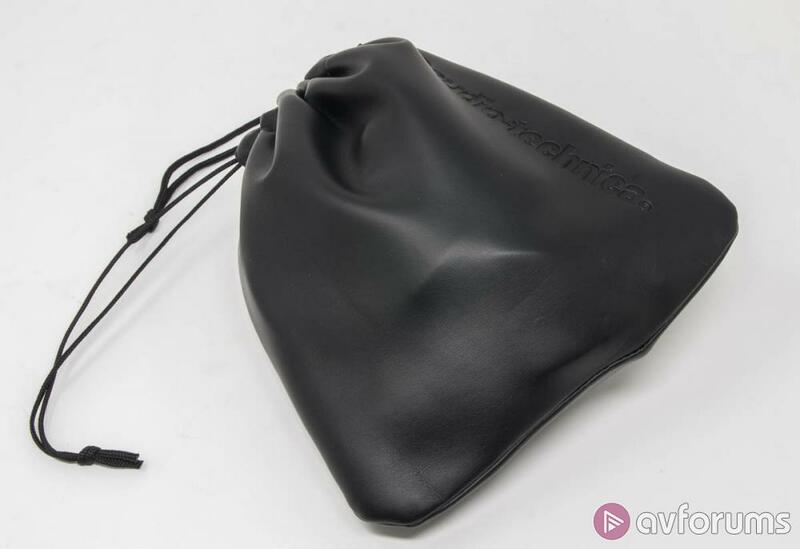 The modifications to make it a Bluetooth headphone have not affected the external dimensions of the design in any way. This means that space for the controls, amps and battery has to be found in the original design. Neither is this a minimalist fit. You get Bluetooth v5.0 with both aptX and AAC support which means that the M50xBT will play as nice with iOS as it does with Android. There is also a microphone for making and receiving calls. As one of the first Bluetooth 5.0 headphones I have had pass through, one of the most noticeable aspects of this is the claimed battery life. The size of the battery is unspecified but Audio Technica claims a wireless running time of forty hours. Now, as ever, battery claims are like miles per gallon figures. All that needs to be done is connect the headphone up, raise the volume to the threshold of audibility and job done - a totally unrealistic listening pattern will give you some hefty numbers. The thing is though, after some days of testing, I believe that AT isn’t pulling a fantasy figure from nowhere. This genuinely does seem to have the legs to work for a week of commutes and be charged on the Friday evening ready to go again. It’s seriously impressive. The other aspects of the Bluetooth behaviour are no less creditable. The range is comfortably around the ten metre mark and can stand a door being closed between the phone and you. Background noise levels at idle are also close to non-existent. If you didn’t know for a fact that this was an adaptation of a wired design, there isn’t a single clue to the performance that this wasn’t built from a clean sheet of paper to be a really well sorted pair of wireless headphones. Not every aspect of the design is perfect. The controls on the bottom of the left hand housing are too small and close together and the charging socket is USB-A rather than USB-C which, on a brand new (wirelessly new anyway) is a mistake. Neither of these things is a deal breaker though. It would be nice if some of the colours that the wired version comes in became available for wired too but again, this is not the end of the world. This is partly because the overall feel of the M50x hasn’t been messed with and this is no bad thing. This isn’t from the arena of ‘massively overbuilt’ pro equipment. Audio Technica simply doesn’t have the budget with this to achieve that and the feel of this device is slightly different anyway. This feels like an utterly dependable, rugged and unflappable piece of kit. The hinges and joints are all solid and reassuringly tough in their overall design and feel. It feels like the sort of device that will wear scratches and marks as character rather than defects. I have to say that I really like it. Of course, if you don’t feel like me, there is a reasonably sturdy carry bag and an optional hard case. 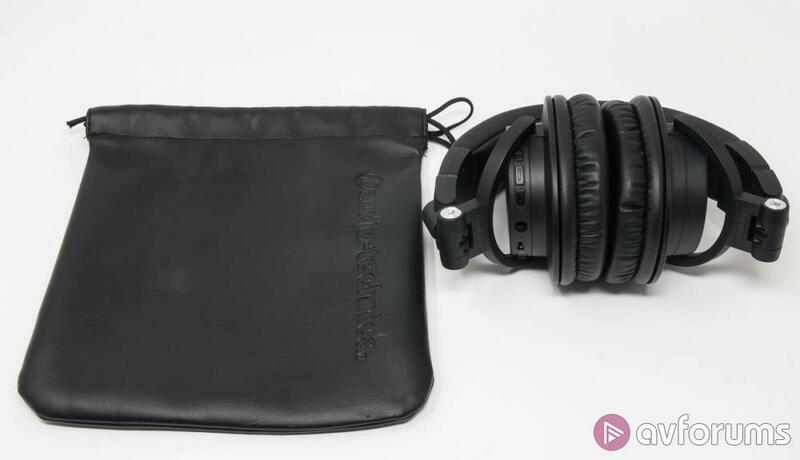 The Audio Technica has done the bulk of its running with an Essential PH-1 smartphone running Deezer, Tidal and accessing UPnP content via Bubble UPnP. Some additional testing has been undertaken with an iPad Air running similar streaming services as well as Netflix and iPlayer. Finally, some wired testing has taken place via Chord Mojo and Poly running a similar suite of software. This means that formats have included MP3, FLAC and on demand video content. The advantages of ‘pro’ equipment in non pro use is not a debate we’re going to have in this review but it’s worth saying that it is frequently a double edged sword. The idea of an accurate and tonally neutral transducer is an appealing one but it shouldn’t be forgotten that some side effects of this were speakers like the Yamaha NS10, a speaker that sounded pretty awful and became an industry stalwart because if you managed to mix something that sounded halfway decent on a pair of NS10s, the chances are that it would sound good on anything. Kicking off with the M50xBT running in wired mode on the end of a Chord Mojo and Poly, the way that it performs does generally warrant the use of the word ‘pro’ around it, whilst it simultaneously avoids the worst pitfalls. The Chord duo is commendably neutral and the overall balance of the Audio Technica doesn’t change this. Emily King’s Remind Me is a lovely piece of recording and mastering and it shines through on the M50xBT. Where it is especially happy is that, because this is a fun and genuinely invigorating album and because it is in the business of faithful reproduction, all of this is delivered to the listener. The result is a pretty convincing take on the mix itself but just as importantly, it’s a great listen too. Dig a little deeper and the basic foundation that the M50xBT uses to achieve this is a commendably flat frequency response that ensures that nothing in the music gains any undue prominence or is lost. 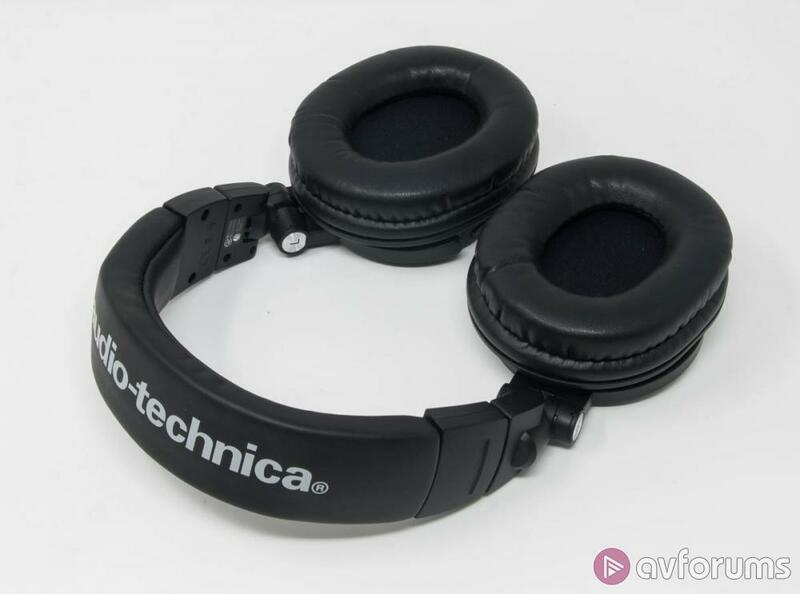 Compared to something seriously pricey (and open backed) like the Sennheiser HD800S, the frequency extremes of the Audio Technica are on the soft side but you can have seven pairs of the Audio Technica for the price of the Sennheiser. For a sub £200 headphone, the result is very listenable. And do you know what? Switching to Bluetooth results in commendably few changes to this overall balance. This might sound underwhelming but I can assure that it isn’t. First up, the price of a Mojo and Poly in February 2019 is effectively £1,000 whereas adding the wireless hardware to the M50x has cost £60. The Mojo can extract bass extension from these headphones that the Bluetooth amp can’t and the advantages of Hi-Res material can be quite considerable too. It can also do things with more expensive headphones entirely beyond the M50xBT. Listening to Tidal via Bubble UPnP to Poly or direct from the Essential PH-1 though, the basic character of the music stays the same. As a result, with your favourite streaming service playlist selected and your phone and M50xBT charged up, you can head off for a (very long) day out and the Audio Technica will do what it does very happily indeed. The noise isolation is extremely good, both at keeping the outside world at bay and ensuring that you don’t leak much noise to the outside world. This in turn means you don’t need to birch the volume too hard either - although if you push it, the M50xBT has an impressively large amount of headroom available. As a self-contained device, the M50xBT goes about its business almost completely unphased by your partnering source. The performance via aptX via the Essential and AAC via the iPad are broadly speaking identical - I prefer aptX because I feel it has a little more drive and bass extension to it but this is entirely subjective. More importantly, it means you can buy it and be confident that it’ll deliver much of what it purports to offer. This isn’t unusual in Bluetooth headphones but I can’t recall one at this price that was quite as neutral and music friendly as this one. In the listening phase of testing, I have wondered through a test program that has spanned Ben E King to Boards of Canada and Nils Frahm to Nine Inch Nails and I’ve never really found myself unhappy at anything it has done. Trying to find downsides has me scrabbling around and, to be honest, nit picking. I don’t think the call quality is very good and would suggest you deselect the M50xBT for calls (it also has the advantage of it not looking like you are standing there have an animated conversation with yourself too). 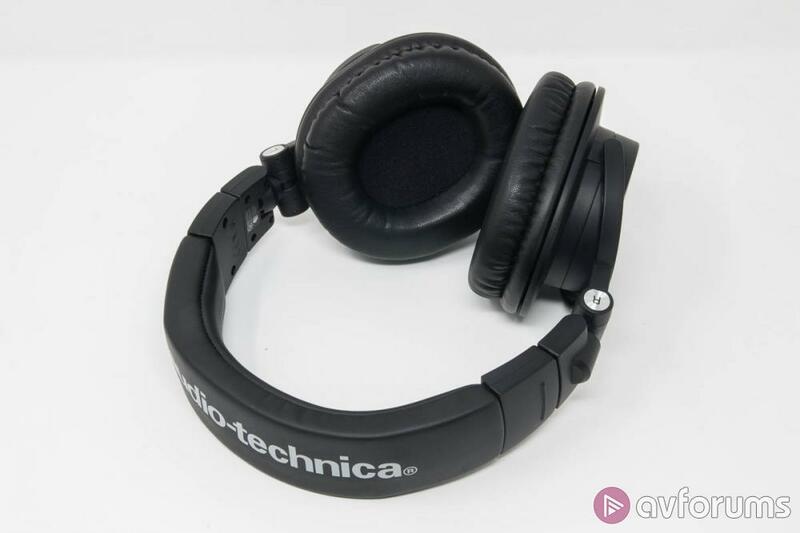 Push the Audio Technica hard via the Bluetooth amplifier and it will start to harden up and this needs to be taken into account if your Bluetooth source has a relatively low output level. These are - as you can probably tell - not exactly serious issues. In case you didn’t notice from the 2,000 odd words preceding this, I like the M50xBT very much. It is hard to over emphasise how good a job Audio Technica has done with the conversion to wireless operation. They’ve kept the character of the headphone intact, ensuring you get a presentation that is commendably faithful but entertaining with it. This is now combined with an absolutely brilliant Bluetooth implementation that gives them a clear and utterly stable connection that offers superb battery life and equally adept performance with iOS and Android. Whether or not this represents the start of a few more Bluetooth conversions remains to be seen but the M50xBT is a barnstorming product and an unquestionable Best Buy. 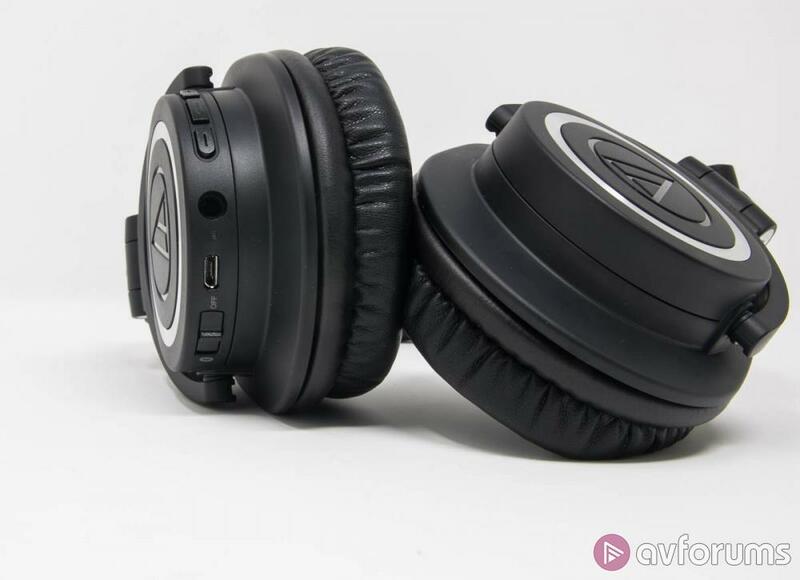 Write your Audio Technica ATH-M50xBT Headphones review.